Celebrate Sylvia’s UK editions with SylviaDay.com while Sylvia spends the week at the London Book Fair! 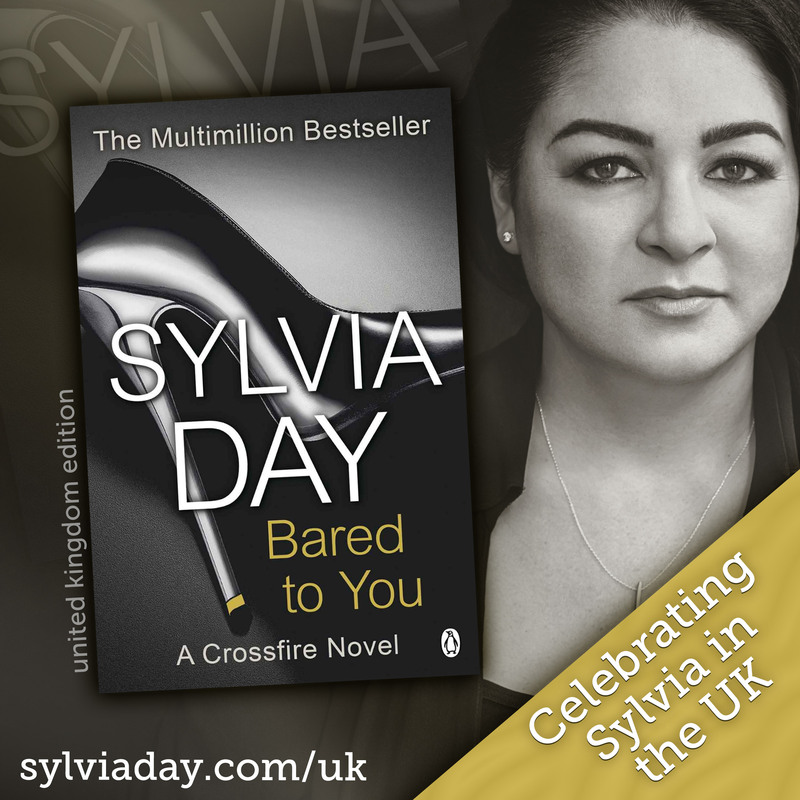 FEATURED TODAY: Bared to You, the beginning of the Crossfire® series. Nearly five years since its UK release, the kindle edition of Bared to You is still in the Top 500 bestsellers in Amazon.co.uk’s Contemporary Romance category, with over 1500 5 star reviews. That’s quite a love story.